Zucchini has become a new favorite in our family, so I thought it would be a great idea to write about it for the Eat Like A Rabbit series. The goal is to offer rabbits a large variety of fresh food without letting any excess go to waste. Plus, if it’s good for the rabbits, it’s probably good for us, too. Bunny is a huge fan of zucchini and sees it as a treat. Bailey refused to eat it for a while before we finally wore her down. Once she actually tasted it, she was convinced. 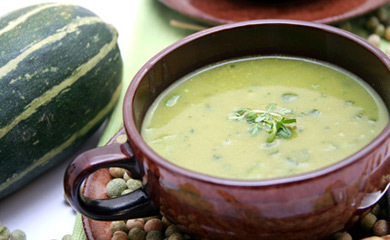 Technically, the zucchini (Cucurbita pepo) is a fruit since it grows as part of the zucchini flower. It belongs to the pumpkin family and originated in the US and Canada, but was first developed and marketed in Italy. The name “zucchini” basically means “little pumpkin”. It is best kept in a plastic bag in the refrigerator and will usually stay fresh for 5-7 days if purchased at a grocery store. Avoid storing it close to tomatoes, apples, and other fruit that continues ripening after being picked. Zucchini makes a great addition to any human or rabbit diet. It contains a lot of water (93%! ), is easily digestible, and has very few calories while still being nutritious. 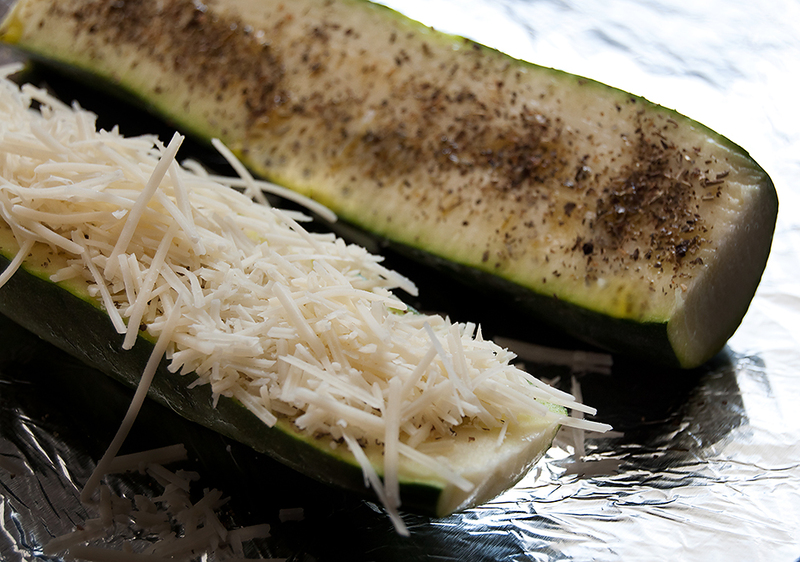 Each zucchini supplies the body with calcium, Vitamin C, Vitamin A, iron, and more. For the bunnies all we do is wash the zucchini and offer them a thin slice. Bunny gets about 1/8 – 1/4 inch slices per meal (breakfast and dinner). Bailey gets about half as much as Bunny right now. She isn’t used to that much fresh food yet and we don’t want her to get sick. Also, she still eats some pellets every day while he does not. This recipe is quick and easy as well as tasty! Plus it always feels good to think we each ate an entire zucchini for dinner! Tip: This works best with zucchini that has a similar diameter all over. 1. Wash the zucchini, then cut it horizontally. 3. Spread the cheese evenly across the zucchini. 4. Drizzle lightly with olive oil. 5. Place on a baking sheet with aluminum foil and roast in the oven at 400°F for about 15-20min. or until tender. 1. Wash and peel the zucchinis, then cut them into even cubes and boil them in saltwater until tender. 3. Drain the water and puree the zucchini cubes. 3. Add cheese and sour cream. Add nutmeg, pepper, vegetable stock, and white wine to taste. 4. Serve with chopped chives on top. We hope you enjoy these recipes! As always, please introduce new food slowly to your rabbits.